A growing orthodontics software startup had to open wide to nab a larger office. OrthoFi, which sells financing and payment processing software, currently occupies 22,000 square feet at 303 E. 17th Ave. in Uptown. At the end of the month, the company will move into 36,000 square feet at 900 S. Broadway. Anthony Albanese with CBRE represented the company, which deferred comment to him. Albanese said a big factor behind the move to South Broadway was the lack of available office space downtown. “Space is so dramatically tight in those areas, so to get 36,000 square feet anywhere near downtown is difficult, specifically in LoDo and Union Station,” he said. Albanese said the new spot was still centrally located for employees, which was a priority. 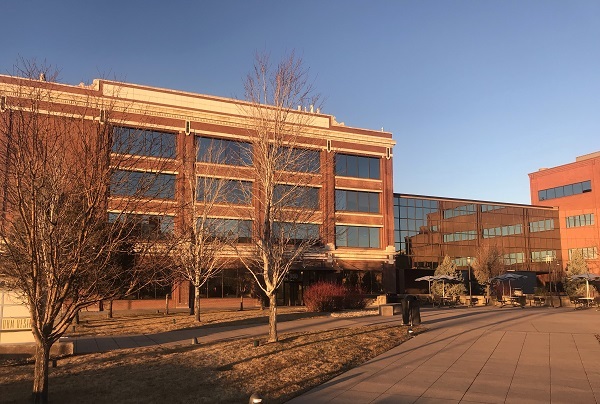 The building just south of the Interstate 25-Broadway interchange used to be a manufacturing facility for Ford Model T cars, Albanese said. The first-floor space features 16-foot ceilings and large windows, and the company plans to create a bleacher-style meeting space. OrthoFi was founded in 2013, and has grown from less than 10 employees to 200 in four years. Albanese said OrthoFi expects to expand to 400 employees within the next few years. OrthoFi was drawn to the nearby RTD station on South Broadway, as well as the growing amount of businesses and retail in the area, including the Gates redevelopment nearby. More mature startups with a large headcount and proof of concept are putting more thought into their offices, Albanese said. “The investment in their office space as a recruiting and retention tool is absolutely something we’re seeing as a trend,” he said. Another medical startup, Alto Pharmacy, also recently opened an office along Broadway in the Golden Triangle.